New York Fries serves premium fresh cut fries made from whole - russet potatoes cooked in non-hydrogenated and non GMO sunflower oil. 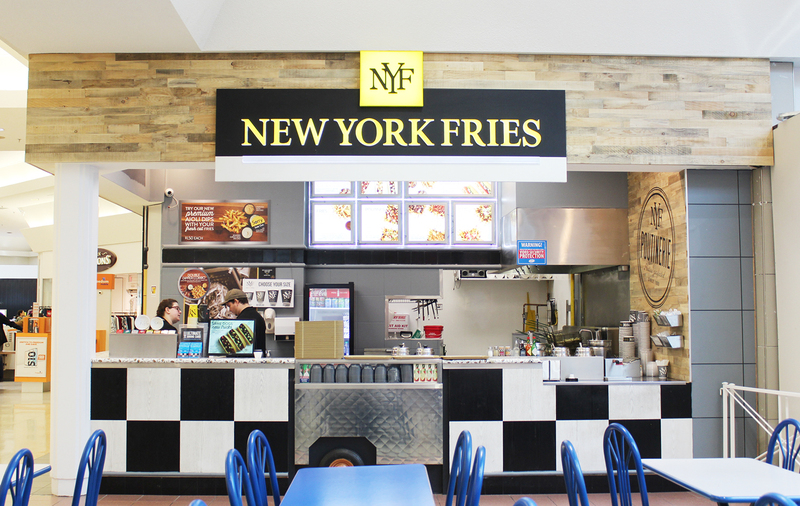 NYF's delicious fresh cut fries are the base for a variety of gourmet poutines - from Classic (vegetarian) Poutine and Pulled Pork Poutine to Butter Chicken Poutine and Bacon Double Cheese Poutine - you are sure to find a favourite at New York Fries. NYF also sells a premium chicken & beef hot dog with no additives or artificial preservatives as well as a variety of sauces and dips. Coca-Cola beverages are served. Vegetarian - Gluten-Free and Vegan friendly options available.